Baker University recognized that their union, constructed in the 1950s, was struggling to meet the needs of today’s students. In a two-day charrette, we met with university employees, foodservice providers, and students to develop a vision for the future. 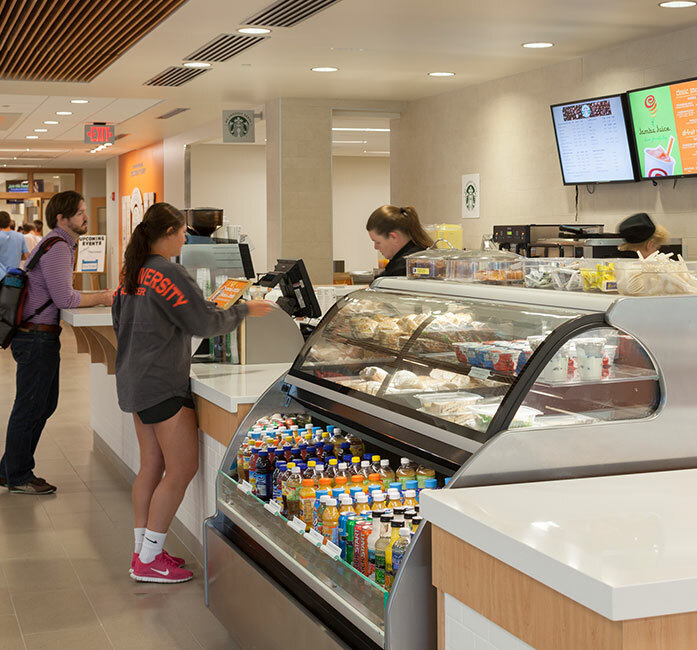 The renovation provided students with study nooks, a variety of healthy dining options, and a thriving social space. 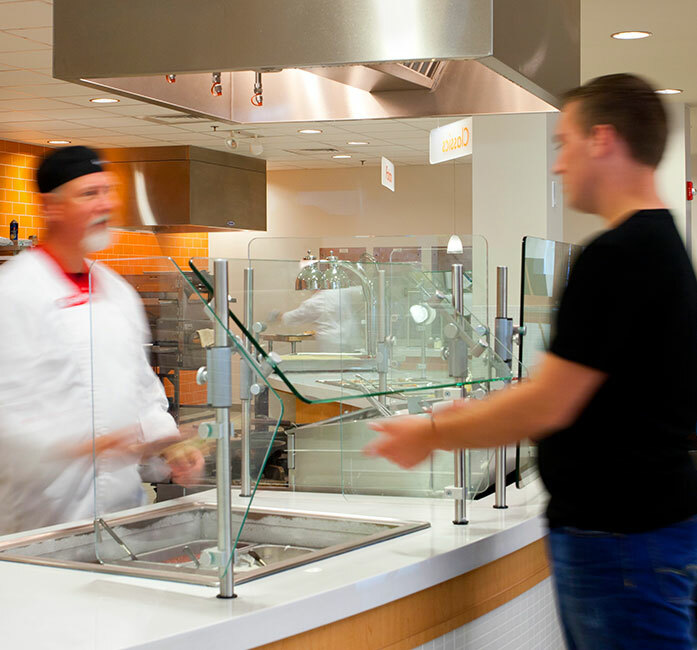 In this Baldwin City, Kansas renovation, GLMV converted the cafeteria line into six unique platforms, including a number of fresh and cooked-to-order options. 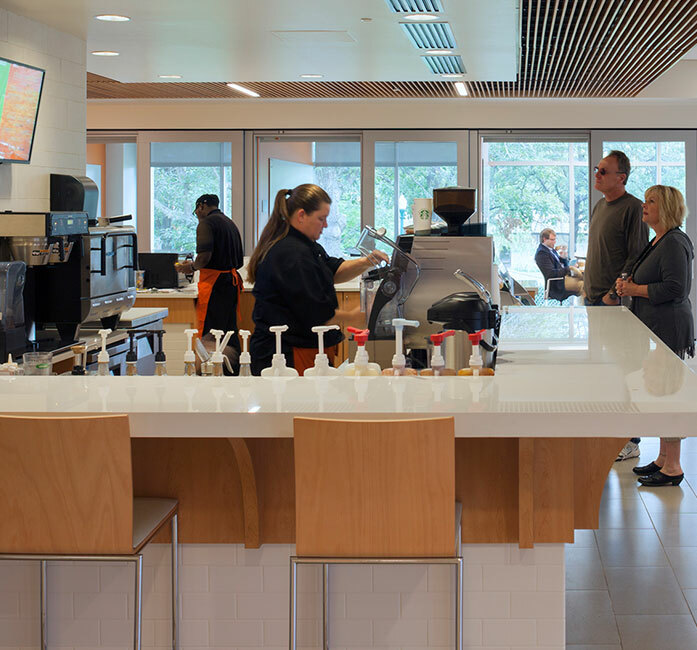 Daylighting was used in the 330-seat center to take advantage of courtyard views, and a glass partition was installed to allow the grill to remain operational and accommodate students’ late-night schedules. With more than 25 years of experience with Yum! 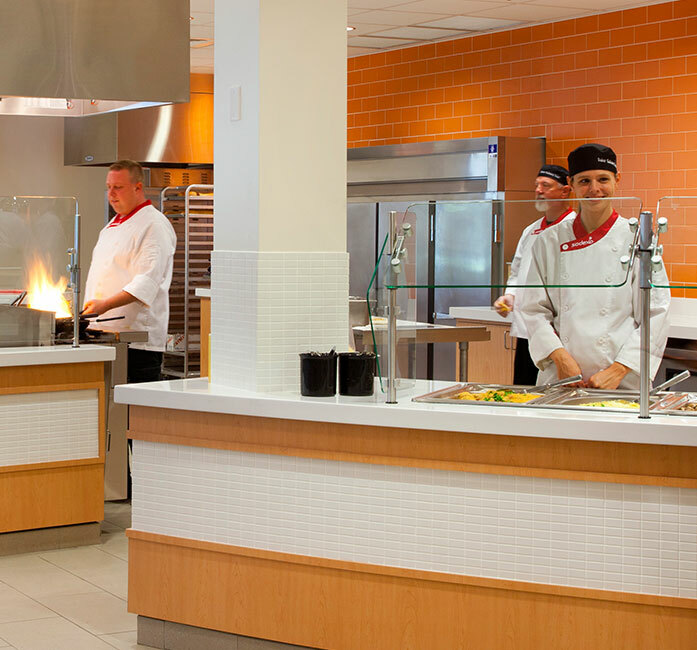 Brands, we feel confident in calling ourselves experts in the quick-service restaurant and hospitality industries. And as a National Brand Consultant with a network of engineering and contracting partners spanning the country, we’re poised to move multi-build restaurants forward at the drop of a hardhat.